Located in the East 80’s right around the corner from H&H bagels, Duane Reade and the cross-town bus, this 900+ square foot apartment is priced to rent. As you enter the building you are greeted by a doorman offers a pick up drop off dry cleaning and laundry facilities on site. Take the elevators up to the fifth floor and enter your enormous apartment. To the left is a large kitchen; to the right is a foyer that can be converted into an office or a seating area. The living room features 9.5′ ceilings and enough room for a sectional and a dining table. To the left of the living room is a linen closet and a bathroom just outside of the king sized bedroom. If you are the type with a lot of clothes or you need room for storage this gem features a HUGE walk-in closet… Please note that this is one of the few landlords that allows walls. This apartment can be converted into a two bedroom. 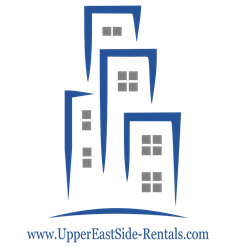 To schedule an appointment to see this unit and other Upper East Side apartments for rent please contact Ariel – 646.530.8353. If phone lines are busy please call back again later.